Is Hillary’s campaign chief right about Brown’s chances? But has Brown got it within him to do what’s required? 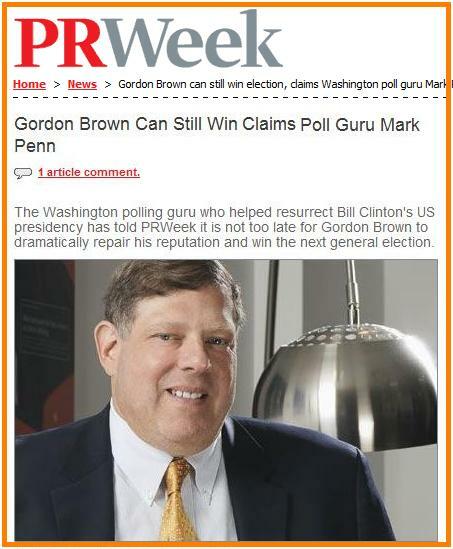 This week’s edition of PR Week has an interesting interview with one of the world’s most highly paid political strategists – Mark Penn, global CEO of Burson-Marsteller – in which he holds up some hope for Labour? Penn might be right about “lapsed Labour voters” but the latest polling where this is measured, Comres, shows that one in six of those who voted for Blair’s Labour in 2005 now say they will support the Conservatives. That’s a fair sized wedge. Labour’s also lost quite a bit of support to other parties some of which might come back. The scale of Labour’s task is so great and the passing of another month just ratchets up the pressure. Time is running out and I know of no precedent for a government in the mid-20s across all the polls to have been able to pull things back. Where Penn is right is that Cameron is going to come under increasing levels of scrutiny as we get closer to the day. He just might do something that changes perceptions – but he’s not really tripped up in four years in the job even the odd bit of foul language in a radio interview doesn’t seem to have harmed him. I find it very difficult to see a Brown-led Labour stopping a Cameron-led Tory party. Are these the figures that undermine the UNS? The forced choice question that appears above is one that’s been included in the Telegraph’s monthly YouGov poll for several years now and I think is probably a good guide to potential tactical voting. For this asks simply: “If you had to choose which would you prefer to see after the next election a Conservative government led by David Cameron or a Labour government led by Gordon Brown?”. For me the key responses are from Lib Dem supporters because this gives a sense of potential tactical voting in seats where it’s mainly a straight CON-LAB contest. As can be seen there’s now a significant CON/CAM lead. In February 2009 the split was even at 41-41 with the rest saying they didn’t know. We haven’t got much detail of party breakdowns when similar questions were put ahead of the 1997. 2001 and 2005 general election but my guess is that the Lib Dems would have overwhelmingly favoured Labour. 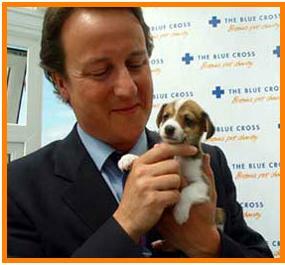 Even in February 2006, after Cameron had become Tory leader, BROWN/LAB was leading by a ratio of 5:2. Now the uniform national swing, the main concept behind the simple seat calculators, takes what happened last time and applies the national swing on an additive basis. So any tactical or antiTory voting that happened in May 2005 is frozen in and the model uses that to apply the changes. But if there are underlying trends like the one above then we might not be getting the full picture. Last week we published details of the Resolvers System Advanced Election Forecasting system devised by my son, Robert. Check it out and the associated FT piece if you did not see it. Why do family connections seem to matter with Labour? Is the party vulnerable to charges of nepotism? There’s an interesting article by Jeff Randall in the Telegraph this morning which explores the extent to which “which blood ties and marriages” seem to matter so much within the top echelons on the Labour party. The bringing together of the family links is interesting but I wonder whether it could be politically significant. What does it say about a movement that is supposed to be about equality of opportunity that you appear to have a better chance of prospering if you have some family connections. Would, for instance, the Miliband brothers or Hilary Benn have progressed so far and so fast if their fathers had not been so prominent within the movement. Certainly they had the benefit of name recognition. Could not all this undermine Labour’s current calls for more “social mobility” – something that looks like being developed as a general election theme? At a time when David Cameron can be criticised for surrounding himself with people all of whom seem to have similar backgrounds the Tories have a ready-made response. The third YouGov poll of the month, this one for the Daily Telegraph, has just been published and has some possible less bad news Brown Central. A slight increase in the Labour share which equals the 27 points they were on in late April and early May and is substantially higher than the 21% recorded in one YouGov survey in early June. 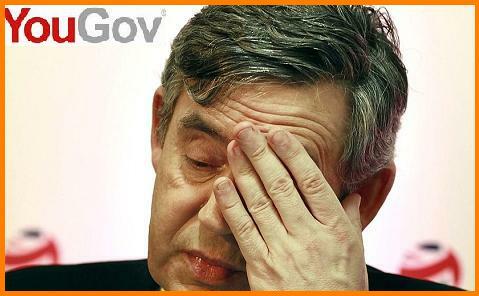 But Brown’s party is still a long way behind the possible election-saving 34% that YouGov recorded in the immediate aftermath of the G20 meeting at the start of April and before the Telegraph expenses revelations. The Tories will be pleased that four of the last five polls has had them in the 40s and still with a significant lead over Labour. All the changes are within the margin of error and as a general rule I’m not very happy with holiday season polling. We’ll have to wait until October after the conference season before we get a real sense of where the parties are. At the start of June about 60 PBers very kindly made donations to support the technical infrastructure of the site. In total nearly Â£3,000 was raised and this has enabled us to make things more robust. As a way of saying thank you we are setting up something called the “PB Early Birds”. This will be a special alert service for when we have news of an attractive betting opportunity. As those PBers who are gamblers know when a good bet is suggested on the site it does not usually last very long – the bookies either take it down or tighten the odds. What we will endeavour to do is to send an e-mail alert out when a post about a particularly good bet is about to be published. In some cases, like the amazing Norwich North turnout wager from William Hill, the message might include details of the actual bet. 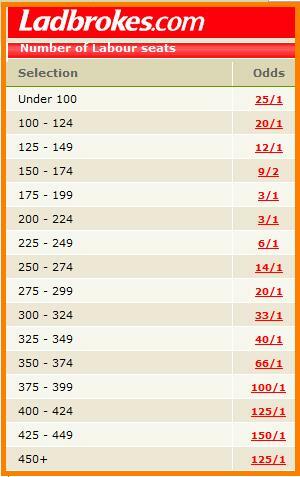 I cannot guarantee that we will always be able to do this or that you will be able to get bets on at the quoted prices. But hopefully you should get a head start. Clearly all bets are at your own risk! So if you you did donate to the last appeal or have been a PB donor in the past then please drop me an email if you want to go on the list. Could you make the title of the email “PB Early Birds”. 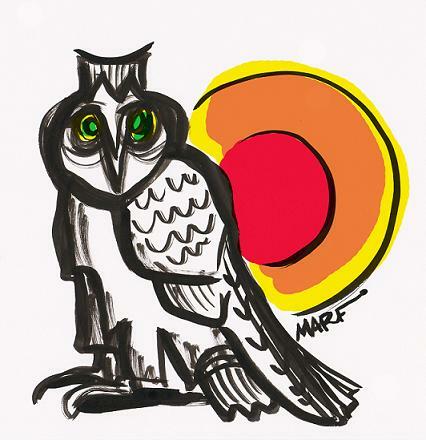 Thanks to Marf for the excellent “PB Early Birds” design. What does this say about Brown’s debate chances ? Could the PM, like Davis in 2005, have ended up on top? Yesterday while we were getting contradictory statements on a Brown-Cameron TV debate I dug up the above YouGov poll up for a national paper which had commissioned me to do a piece on the main contenders’ chances. The November 2005 poll I found was of Tory party members does raise questions over whether Cameron would have been the overwhelming debate winner with Brown as many have been suggesting. That survey took place immediately after the leadership encounter and most observers had written off Davis beforehand. Following the conference a few weeks earlier in 2005 the mood of the Tory party had switched sharply away from David Davis to David Cameron because it was widely felt that he was the better communicator. The BBC event put a halt to that and there was a bit of a swing back to Davis in the betting. Davis was helped then, and this would be a factor now if Brown changed his mind, by exceedingly low expectations. But the Davis team had seen the event as a possible game-changer and had flung everything in to getting their man prepared. Could the same happen with Brown? 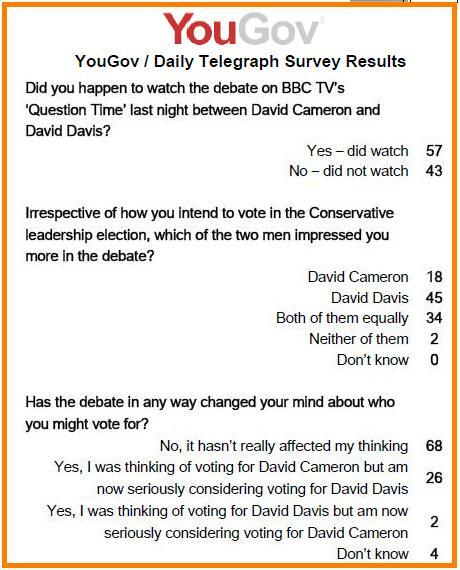 My guess is yes and perhaps Team Cameron ought to tone their enthusiasm down. When you are as far ahead as they are at the moment introducing anything that could change voters views’ is fraught with danger. Just four years ago today the Times published the findings of an online poll in which those participating were presented with a series of pictures featuring prominent politicians, asking who they were and what their job was. “…Michael Howard, the outgoing Tory leader, is the most recognised Tory face, with 82 per cent correctly naming him. More people aged over 65 (81 per cent) recognise him than David Beckham (79 per cent). Of the possible runners, only Kenneth Clarke has as many people recognising him correctly as not (50 per cent). Well over three fifths of those aged over 65 and professionals and managers know who he is. Roughly three in ten recognise Sir Malcolm Rifkind and Mr Davis, and Sir Malcolm is helped by being known by more than a half of Scots, since he was an Edinburgh MP for 23 years, as well as Scottish Secretary. Theresa May is recognised by 16 per cent, including three times as many men as women. 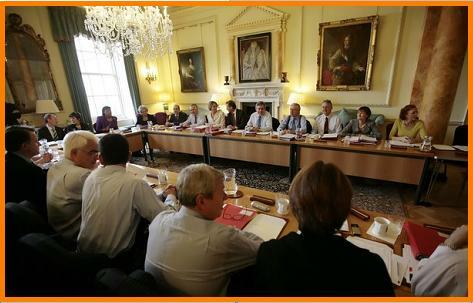 She is often confused with Tessa Jowell, sometimes with Patricia Hewitt and occasionally with Ruth Kelly. Although Howard had announced that he was going the Tories were then involved in an internal scrap over the precise rules for the election of the leader. David Davis was the heavy odds on favourite to succeed. David Cameron, as we all know, was elected Conservative leader on December 6th 2005 and has undoubtedly gone on to become the most dominant political leader of the era. Whatever your view of him you have to concede that taking his party to the point where polls are suggesting a landslide is an amazing achievement which Labour, the Lib Dems and even segments of his own party are still struggling to come to terms with. So is there any value here? How many Labour MPs will there be in the next parliament? For those who are uncomfortable with the risks of spread betting the main way of betting on the number of seats the parties will get in the general election is here – which several of the bookies offer but unlike mostLadbrokes keeps it up almost all the time. Is there any value? How difficult is it betting with such small segments? My sense is that this is quite hard because so much could happen in the coming months. What if Brown was replaced – would that mean more seats won?